I’ve not had all that much time to do all the things I wanted to (and really should) do recently. Like writing, editing, rewriting, cleaning my office, the list goes on but I’ll not bore you. And why is this? Where has all my time gone? It’s because I’ve been going to lots of meetings and meeting lots of very nice people in order to organise the book tour that I’ll be embarking on when I Met a Roman… is realeased in the Autumn. I’ll post the dates when they’re confirmed, but in the meantime I’ll leave you with something that should give you an idea of what to expect. 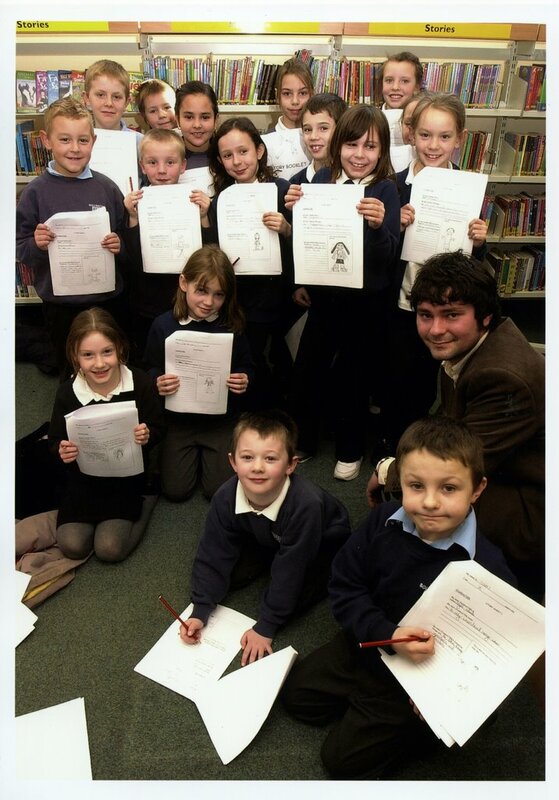 Above is a photo of Miss Hughes’ class from Bollington Cross school (and me) after a workshop I did with them a few months ago. I’m seeing them again in November and I’m very much looking forward to it.